Business is the second and latest nature of most African people, all in the quest to make ends meet and ensure the wavering economy does not catch them unawares. Directing this fact to the subject of this article, we will find that when we trace the gender-roles of people in the ancient African society, women had more inclination to business than the men. They were the ones who took their wares to the market to trade by barter or for money. The most the menfolk would do was sell their game or palm wine, as for every other thing, the women bought and sold them in the market. With recent developments in women entrepreneurship in Africa, one could be forced to think that a switch took place over time, and that is why it is somewhat legendary to see successful business women in the system. The women entrepreneurs of our time are not only living out their traditional traits, they are seriously taking it to the next level. From another perspective, we could say that the ancient status quo still has its stance in the modern times. Till date there are still traditionally reserved lines of business for the male and female gender; but for the most part, people just get into business out of their personal interest and preference. In Africa today, it is no news that entrepreneurship is the order of the day. The government has made it emphatically clear that they cannot conveniently carry everybody within the economic capacity. So that gave rise to the idea of people fending for themselves. As a matter of fact, a lot more women in the domestic and local levels are solely catering for their households. The economic situation has put everyone on their feet, scouting and searching for a headway in the economic world. The efforts of women which used to be so dim lighted in the past have now become too daunting to ignore in the African society. These days we hear of prominent women who are held on a pedestal for attaining heights no one thought was possible. Some women have made it far because of their background, education, marriages, official positions, royalty but we are more concerned about women who basically saw a gap in the society and set out to bridge it for the sole good of their communities and the African society at large. As true as it is that the actual list might be endless, here are leading women in the African entrepreneurial industry, that you need to know. Khanyi is the founder and CEO of Ndalo Media(in partnership with media24), Ndalo Luxury Ventures, Destiny Connect and Destiny magazine(s); co-founder of Luminance and a non-exec director of The Foschini Group. She is a formidable force in the world of media- publishing & retailing. At an early age, she had first-hand experience in the family business where she acquainted herself with the complexities of retailing; she definitely learnt from the best, her grandfather. Her entrepreneurial journey started after her victory as the Thandi Face Cover Girl. Khanyi has a degree in journalism but more than journalism itself, she was more interested in the media business, so much so that each step of her success is interwoven with the South African media. At age 20 she was already famous for being the first black anchor on SABC 1. Khanyi has a great deal of profile that she worked out for herself – hosted the miss world 1997 pageantry and was a one time editor of true love magazine (gaining double their reach in her reign). The Destiny brand is dedicated to the education and empowerment of women in the business field. Carmen is one of those women entrepreneurs with humble beginnings. She owned a single salon and today she is notable in Morocco and Africa as a successful business mogul. She is the owner of the famous Morrocanoil, a multi-million beauty company that emerged as a result of a bad hair day. As a personal witness to the marvels of the argan oil and the subsequent requests from friends and customers, she took the idea to a money-spinning level. In 2012, she debuted a line of 12 luxury body care products. Typical, you want something you can’t find, and then end up making them yourself. By going into the business of children’s clothes she bridged the distance between children’s clothing and many worried moms who seem to be going through the same things that she did when she decided to set up the business. Over time, her entrepreneurial efforts have been recognized as she is known as one of the leading businesswomen in Africa. She is the founder of the ‘Ruff ‘n’ Tumble’ line of clothing. From the trunk of her car, she moved to a small shop, from where she grew from strength to strength. Adenike has deliberately focused her business within West Africa alone with workers and distributors all over the region. A business that had just one employer (Adenike’s mum) in 1996, now has a total number of 50 staff. 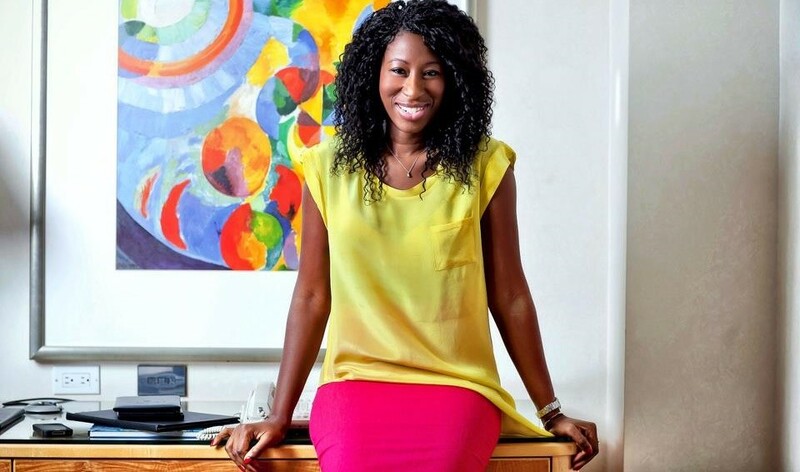 Adenike was the 2005 FATE Foundation Model Entrepreneur of the year. Some people just know what they want to do with their lives irrespective of what every other person thinks. Adenike left school because she has gone round the idea to sincerely understand that her life’s purpose does not necessarily demand tons of lectures and grades to get on with. Mo as fondly called is a serial entrepreneur; worked in several reputable firms before pulling out to live her dreams and achieve her vision. For one Mo is passionate in the course of revamping and encouraging the lives of the modern-day youth. From a talk show host, she became a media proprietor; today through Ebonylife TV, the N2bn worth 1st global Pan-African television network, she does just that; alongside handling Afro-sensitive issues that affect all spheres of living and proffering solutions and suggestions to better the living conditions of the middle class African and the local communities, most especially. By extension she is also passionate about making Africans more accepting of themselves and their culture. The famous mantra of this well-read and well-traveled personality is “if you can think it, you can do it”, perhaps that’s the secret to her numerous successes. Mo believes no one can tell the African story better than Africans themselves, thus, sowing the seed of patriotism in Africans through the media, “giving Africa a voice”, like she would say. Beautiful and enterprising Bethlehem hails from Ethiopia. The 35-year-old is the brain behind the soleRebel brand, Africa’s leading footwear company. The striking feature of this product is its eco-friendliness and the employment opportunities that it provided for her local community. Bethlehem is a practical African patriot whose mission is to prove false, the notion that Africa cannot create her own way to prosperity. With the progress over the years and her recent plan to establish a flagship store at the Silicon Valley, California, the handcrafted footwear with over 15 stores across Africa, Asia and Europe is gradually becoming an international brand. Having a stand-alone store in the Us is definitely a one of a kind development, however, the tenacious woman entrepreneur still intends to open up more stores there in good time. The soleRebels footwear is modelled after the Selate and Barabasso shoe (worn by the Ethiopian rebels during the colonial times) and it’s expected to generate over $10 million by 2016. The renowned female tech whiz, born to a Kenyan father and an American mother of Russian descent, is famous for her tech ingenuity, expertise and experience in digital advertising; worked with Google, MTV and other reputable firms. In February 2011 her natural talent and intelligence took her up the ladder to become InMobi’s Vice President and Managing Director, Africa, (the world’s largest independent mobile advertising network). Such appointments don’t always come handy except you prove beyond reasonable doubt that you can equal the task, this young lady effortlessly has her achievements to speak for her. Also, Isis’ soft side as a humanitarian is seen in her service and dedication to charity in her community. Coming from a family that values education it is no wonder that she exudes core brilliance – obtained 2 degrees from Stanford University and Harvard Business School from where she started displaying her prowess in the field of business. Saran Kaba Jones is the founder of FACE Africa– a U.S.-based non-profit organization whose objective is to improve the living conditions of Sub-Saharan local communities ravaged by war and sheer negligence. Particularly they are tasked with the project of providing clean water for local/ remote communities in Liberia. To achieve this dream they are working towards a target of constructing over 200 wells in local districts in Liberia to ensure the good go-round, thus, improving the health and well-being of the people. She probably towed her father’s path as a diplomat by prioritizing the health benefits of the Liberian people. The aftermath of the civil war left the place dilapidated and wrecked for a conducive living, but Saran, the selflessly passionate and core humanitarian has come to the rescue. Side by side to this act of kindness, Saran employs her business acumen in the entire revamping journey. She firmly subscribes to the idea that Liberia will be better off with a boost in the private sector; as a result, she co-founded the Empire group, a Monrovia-based company with the vision of creating and promoting SMEs- in agriculture, manufacturing and hospitality industries. Like Mo, she quit her well-paying job to be able to do immense good for her people. Saran borrows her “love life” ideology from one of Maya Angelou quotes, she sure is extending that precept to her people, giving them hope to dream and live for a brighter future. Saran is a recurrent nominee for the CNN Heroes Awards; shortlisted for the Guardian UK Africa’s 25 Top Women Achievers; and Forbes Magazine’s 20 Youngest Power Women In Africa. Yasmin Belo-Osagie and Afua Osei are co-founders of the She Leads Africa Forum. The basis of this organization is more for the empowerment of women in the field of business. They help budding female entrepreneurs in creating high standard and lucrative enterprises through the She Leads Africa platform where business ideas and solutions are created, suggested, shared and implemented. Since 2014, the organization has registered a throng of aspiring business women; supporting them in terms of knowledge, marketing strategies and finance. Africa’s wealthiest man Aliko Dangote is a contributor to this organization. Amongst the various tasks of these CNN power duo, the most significant is securing low-interest loans from financial institutions and philanthropists; and running business workshops for female entrepreneurs. She Leads Africa does not limit the business interests and choices of the women instead it projects natural talent, turning it into a creditworthy enterprise. For instance, the winner of the She Leads Africa Pitch Competition, Cherae Robinson, won $10, 000 for her ingenuity in mobile technology and tourism. These West African entrepreneurial sisters are making waves and sure are going places. Divine is the first to run a certified security outfit in Zimbabwe, Securico. From her cottage with just 4 employees, this organization has grown to become a trailblazer in an industry dominated by men. Owing to the superb electronic features, Securico, after 15 years of guarding services, intends to broaden her services towards cash and assets. With a revenue of about $13 million, the company has over 3000 employees, of which, 900 are women. Divine has been shortlisted by Forbes as one of Africa’s Most Successful Women. Nigeria’s richest woman, Philanthropist and Africa’s leading self-made female billionaire. Folorunsho started her journey as a secretary at Sijuade Enterprises, Lagos, Nigeria, in 1974; worked as a banker for a while; off she went into the world of fashion (Supreme Stitches), and then she ventured into the oil industry where she emerged successfully. She has affiliations with several other lucrative businesses. Currently, she is one of the few world’s black female billionaires. Folorunsho generously shows her light of success anywhere she is. As a longstanding trustee of the Fashion Designers Association of Nigeria (FADAN), she is noted for promoting Nigerian culture through fashion and style. After her prowess in the world of fashion, she applied for an oil license which was granted and has become the source of her present wealth- Famfa Oil Limited. As a way of giving back, she helps widows and orphans under the parasol of the Rose of Sharon Foundation.